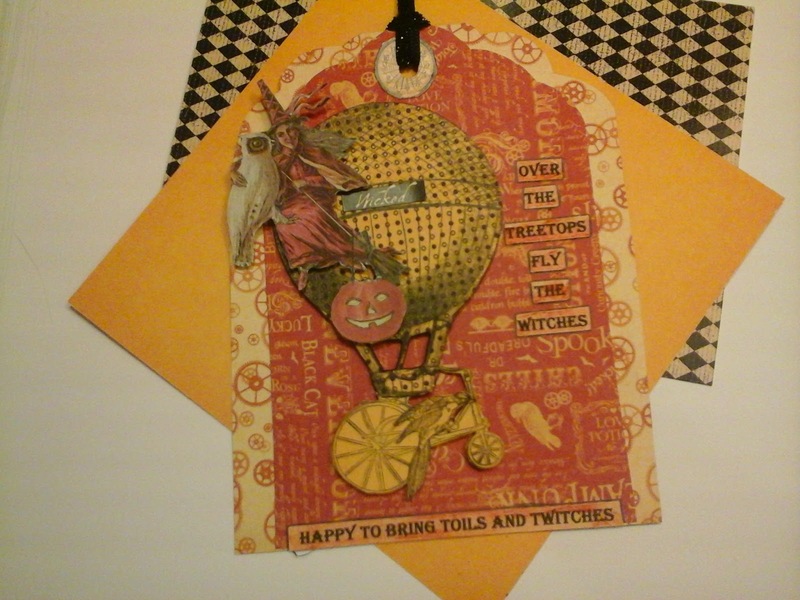 Hello, Peggy here to show you my halloween tag inspired by our sponsored partners Altered Pages and our fabulous Sin City Stamps. I fussy cut all of the images. 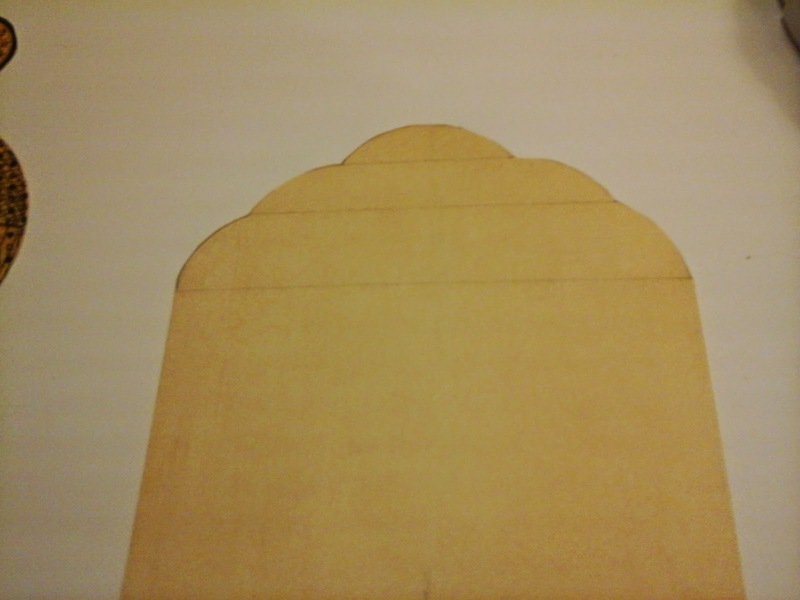 ensure an accurate scallop on top. blocked collaged words with a black pen. 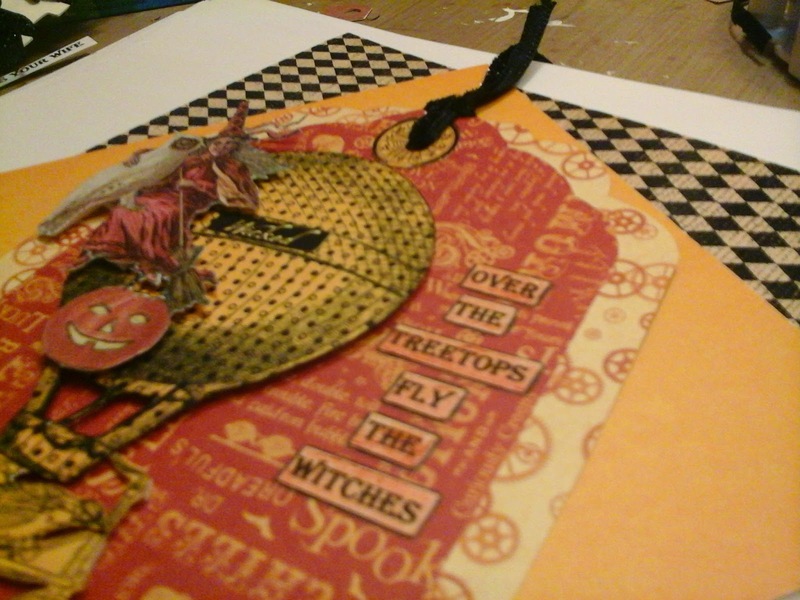 A black ribbon on top brings it together. 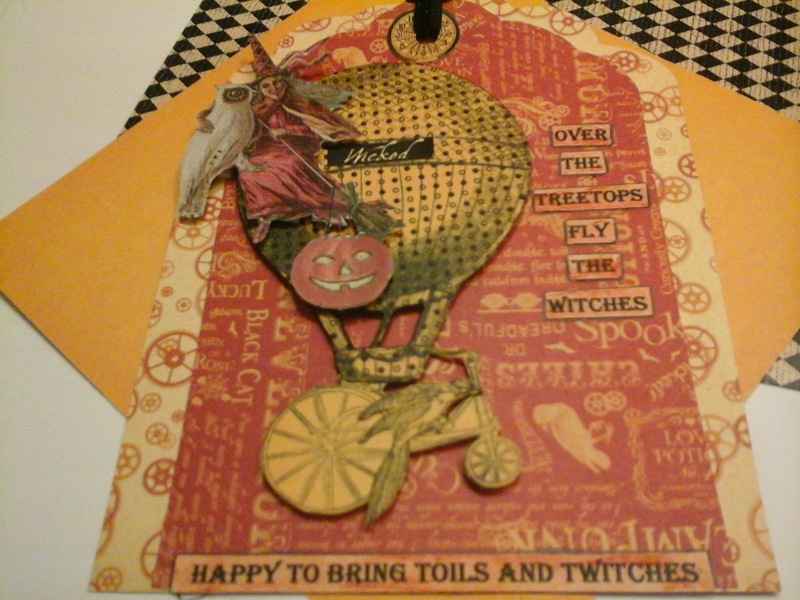 Happy To Bring Toils And Twitches"
Oh Wow.. this tag is amazing.. love all the details.. I love this! SOoooo FUN!! This is a fun tag design, Peggy! Wonderful! 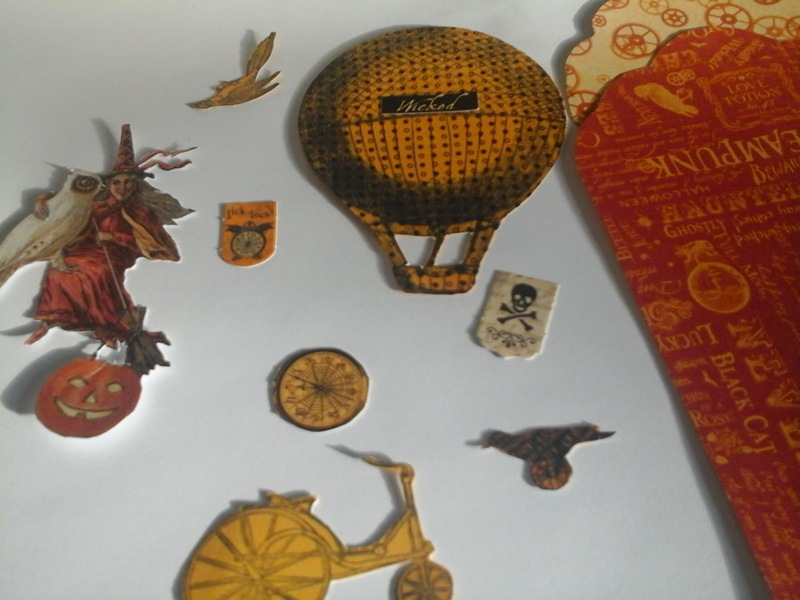 I love the design and hot air balloon. The pop of black definitely does tie it all together wonderfully!